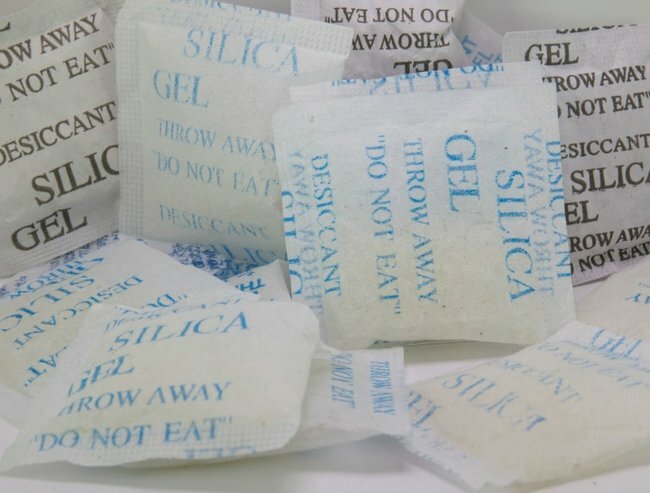 Don't throw your silica gel packets away. They do so much. Do not throw your Silica gel packs away. They're so handy. You know that time you dropped your phone in the toilet bowl, or beer mug, or bucket filled with water and you tried everything to save it, but it flooded and died? That sad phone death could’ve been avoided if you had kept all of your silica gel packets. These packets. Image via iStock. Guys, don&apos;t throw your silica packets out because they can do so many lifesaving things. Number 1 being they can save a drenched phone. Silica gel is a desiccant that controls humidity. It has chemicals that absorb moisture really well. Therefore they can be a great substitute for rice when you&apos;re trying to save a sopping wet phone. 2. They keep photos safe. If you decide to print off your photos instead of just storing them on Instagram or Facebook then you&apos;ll want them to last forever. If you put photos in a scrapbook or photo album, put silica packets between the page to ensure no moisture gets in to ruin your precious memories. Keep your photos looking this good. Image via iStock. 3. Stop your gym bag from smelling like BO. Really bad smells manage to seep in to your gym bag no matter what you do. Ultimately you have a bag that smells like a bundle of sweat, salt, body odour and feet. If you put some silica packets in with your sweaty gear, it will stop bacteria from growing and causing moisture, aka no more bad smells. 4. Preserve your Christmas ornaments. Perfect for this time of the year (well, for when you&apos;re packing your decorations away). Pop some silica gel bags in with your Christmas ornaments and they&apos;ll look as sparkly and shiny as they did when you first bought them, for years to come. Keep those baubles shiny and new. Image via iStock. Seriously, never drive blind or wait for your windows to clear again. Put packets of silica on your dashboard, wedged next to the window and bam. No more fog. Ever. 6. Keep your makeup dry and pristine. We keep makeup in a bag and sometimes it can get wet and gooey and moist and goopy. Again, put some packets of silica in your makeup bag and your makeup will stay fresh and dry forever. Oh those little bags that we thought were useless accessories in our lives. How wrong we were. So very wrong. What life hacks do you have up your sleeve?